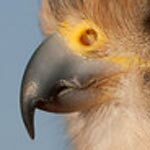 Though there are several species of owl in the genus Tyto, the Ashy-faced Owl is the only one to have a grey face. 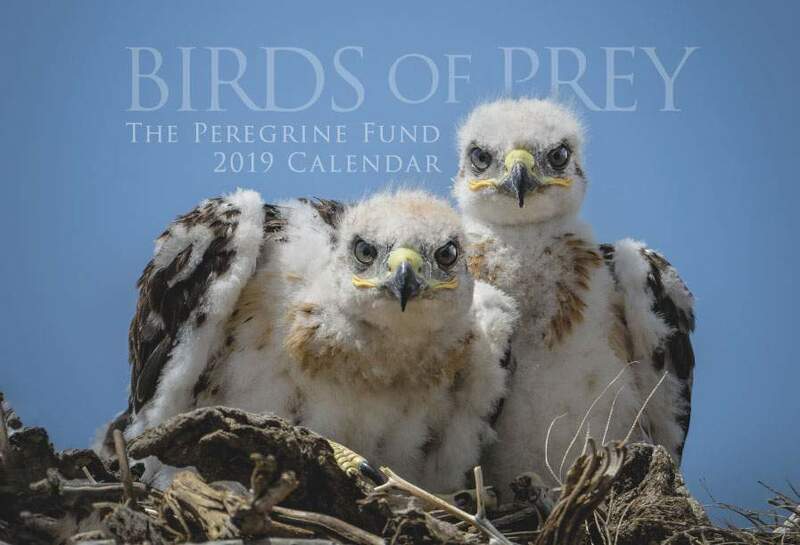 Though The Peregrine Fund doesn't work directly with Ashy-faced Owls, our efforts in scientific research, habitat conservation, education, and community development help conserve raptors around the world. We also supply literature to researchers from our avian research library, which helps scientists around the world gather and share important information on raptor conservation. Like the Ridgway's Hawk, the Ashy-faced Owl is endemic to the Caribbean island of Hispaniola. This means it is found nowhere else on Earth except on that island, which includes the nations of Haiti and Dominican Republic, and a few outlying islands. The Ashy-faced Owl lives in a wide array of habitats. It seems to prefer making its home in tropical and subtropical lightly wooded zones, scrublands, areas with cave systems, and agricultural fields from 0 to 2,000 meters above sea level. When it comes to choosing where to live, Ashy-faced Owls aren't very shy and will often nest near areas that are also occupied by humans. Generally speaking, this owl avoids denser forests, preferring more open spaces instead. In Dominican Republic, the Ashy-faced Owl habitat overlaps with that of the Barn Owl. To the best of our knowledge, they do not interbreed. As its name implies, the lovely Ashy-faced Owl has a light grey face that is, well, the color of ashes. Close your eyes and imagine what a Barn Owl looks like. Now change its white face to grey, its white breast to a mottled yellowish-brown, and its back and wings to a much darker shade of brown. Add dark colored eyes and a heart-shaped reddish brown ruff around its face and will have a pretty good idea of what an Ashy-faced Owl looks like. Though the Ashy-faced Owl is an outwardly stunning bird, it is not well known for its singing abilities. Best described as a hiss or a wheeze, combined with a series of clicking sounds, constitutes this bird's vocal repertoire. This species exhibits sexual dimorphism. This means that there are outwardly noticable traits that differ between the males and the females. In the case of the Ashy-faced Owl this difference lies in the sizes of the males and females. Similar to many other raptor species, the female is quite a bit larger than the male - and can weigh close to 200 grams more. Like other owls, the Ashy-faced Owl is nocturnal - which means it is active (flying, hunting, perching) during the night and it rests (roosts) during the day. Like many raptors, these owls are top predators – they hunt other animals for food but no animals hunt them on a regular basis. For most top predators, their only threat is humans. Top predators, such as the Ashy-faced Owl, play an important role in nature by helping to control populations of prey animals and maintain a balance in the ecosystems where they live. Thankfully, the Ashy-faced Owl is not considered to be endangered or even vulnerable. As far as scientists can tell, its population is stable and therefore it is considered a species of "Least Concern" - meaning scientists aren't worried about this species being in real trouble any time soon. However, there is still so much we don't know about this owl - such as the techniques it uses for hunting, details on its nesting behavior and the threats it faces. It is possible that changes to its habitat due to human activities are having a negative affect on its population, or that it is being killed by humans in certain parts of its range, and scientists are unaware. Because this species in endemic to a very small area, and an island at that, its population could be particularly vulnerable to local threats. Like the Barn Owl, the Ashy-faced Owl is quite skilled at catching rodents. This makes them a good friend to farmers. 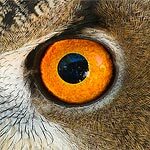 By feeding on rodents, these medium-sized owls are highly effective at controlling mice and rat populations that can damage crops and spread disease to domestic animals and humans. But, apart from eating rodents, they also eat many other things. One researcher documented these owls eating at least 9 species of amphibian, 23 species of reptile, 13 species of bat, and almost 80 species of small to medium-sized birds including some which are pretty big, like egrets, and even other raptors, like American Kestrels. Ashy-faced Owls are silent hunters that use their keen eyesight and hearing to locate and capture prey. Like other owls, and some other raptors, they are equipped with a facial disk, a group of feathers around their heads that helps direct sound to their ears. To get an idea of how it works, cup your hands behind your ears and listen – sounds will be louder and clearer. This characteristic allows them to hear the rustle of a mouse in the grass, the flapping of feathers in the night, or the slithering of a snake in a tree branch. These sounds give away the location of prey animals, making it easy for these owls to deftly swoop in to catch a meal. As we mentioned above, there is still a lot we don't know about Ashy-faced Owls, and this includes their nesting habits. Scientists have documented Ashy-faced Owls nesting in holes in trees, on ledges and in crevices, and even in manmade structures. And recently, Peregrine Fund staff discovered an Ashy-faced Owl nesting inside an active Palm chat stick nest. The Palm Chat is a small songbird and the national bird of Dominican Republic. Though Ridgway's Hawks most often build their nests atop active Palm Chat nests, this is the first time anyone has ever documented an Ashy-faced Owl nesting within the active nest of another bird species. Scientists also know that Ashy-faced Owls can lay between 2 and 7 bright white eggs and when the chicks hatch they are covered in fluffy white down. Apart from this, not much else is known. Where else might these owls nest? What courtship behavior do they engage in? Do the male and female both help incubate the eggs? How long do the young stay in the nest? How long do they remain with their parents after flying for the first time? These are just a few of the questions that are still unanswered about this species. Hopefully one day soon someone will begin studying this species and help us get some answers. The World Center for Birds of Prey offers fun ways to learn about raptors. The visitor center has interactive displays, tours, interesting videos and a children's room with activities from coloring sheets to quizzes to costumes and a touch table for the curious mind. Knowledgeable staff and volunteers are on hand to answer any questions you may have about Ashy-faced Owls or any other bird of prey.